When Double Fine Adventure first took off on Kickstarter, I joined the bandwagon. A Tim Schafer/Double Fine point-and-click adventure game? Sure, why not? I had no idea the Kickstarter crowd-sourced funding model would take off like it did. Now game news sites and podcasts put out weekly updates about the most interesting Kickstarter campaigns looking for funding and the twitterverse rallies around whichever developer has a funding goal just out of reach. The "indie darling" has been replaced with the "kickstarter darling" and even I have bought into the idealism of community funding. Of course I do not mean to disparage the plenty of brilliant creative minds seeking financial backing from existing fan bases or complete strangers. Kickstarter is breathing new life into games that would never have received a traditional publishing deal. Of course any hint as a dramatic change in the status quo receives reactionary hostility, much of it warranted. Many have compared Kickstarter campaigns to elaborate pre-order schemes, complete with their own subtle but no less detrimental set of pre-order bonuses. I have no problem with pre-order bonuses in theory, but I see where the hesitation comes from. 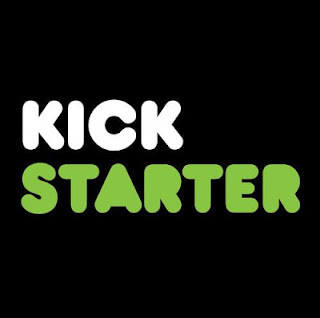 Others are concerned Kickstarter will breed scammers or will be easily co-opted by major publishers and studios looking to make risky investments slightly more safe - both completely reasonably concerns. Regardless, I am finding myself increasingly intrigued by Kickstarter campaigns. While I have only supported a few campaigns, I check the site almost daily, scanning for new and interesting projects, within the games sector and without, and looking at what friends have recently backed. What gets me so excited about Kickstarter backing, however, is not the promise of reward or the sense I am undermining the major studio publishing empire, but the bountiful sense of possibility at the idea of games still in their infancy. Of course I am buying into a sort of delusion. I have already backed Jason Rhorer's Diamond Trust of London, which was already complete when I backed it, it simply needed money for publishing costs. Others, such as Haunts, offer more room for movement and represent developer excitement for a project that does is relatively far from completion. I backed Haunts also because Mobs Rules Games sounds committed to transparency, a policy I have lauded time and again. Of course so many of these games could fall through. Double Fine Adventure might flop and the plug might be pull out from our Kickstarter boat. If this happens, we should remember what the excitement around Kickstarter represents. Developers and players alike have a near endless enthusiasm for the possibilities games represent.